How to obtain gimbal rotation data for development of bat drones. 1. 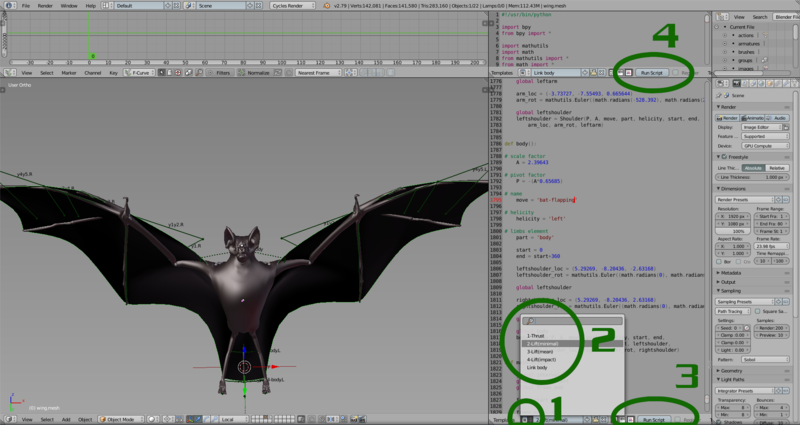 Select an armature object : "bat-flapping.shoulder-right.right" on "Object mode"
2. Change mode to "Pose mode"
4. Select a bone : "g_1.y" (or "g_2.x" or "g_3.z" ) on "Pose mode"
5. Change rotation mode to "XYZ Euler"
10. Click the button "OK"
These organic curves can be obtained in trigonometric function or matrix calculation as well (But Quaternion(WXYZ) shall not be used.). Use properly according to the situation.